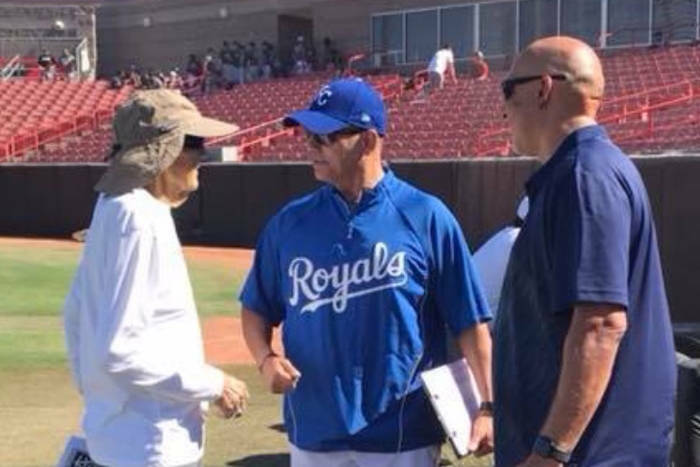 Since Manny Guerra was admitted to the hospital, and now a long-term care facility, baseball people say the local ballparks, diamonds and sandlots don’t seem quite the same. Bats and balls, players and umpires, maybe some peanuts and Cracker Jack. A few moms and dads and girlfriends cheering. And a familiar tanned and weathered face in the stands behind home plate toting a notebook, pencil and speed gun. 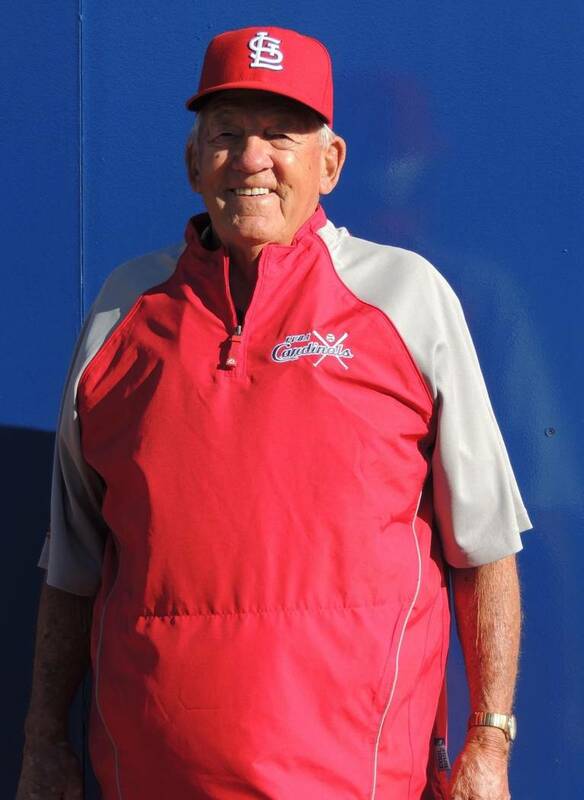 Until recently when Manny Guerra was diagnosed with cancer, these were elements most associated with youth baseball in Las Vegas for as long as anybody can remember. Manny was a major league baseball scout for 43 years, and he signed a bunch of players who went on to play in the big leagues. St. Louis Cardinals outfielder Tommy Pham of Durango was the most recent. Since the 87-year-old baseball man was admitted to the hospital, and now a long-term care facility, other baseball men say the local ballparks, diamonds and sandlots don’t seem quite the same. His biography on baseballreference.com states Guerra has three World Series rings courtesy of his long tenure with the Cardinals. But the ring he mostly wore, says son Mike, was given to him by then-coach Tim Chambers after CSN won the 2003 junior college World Series. 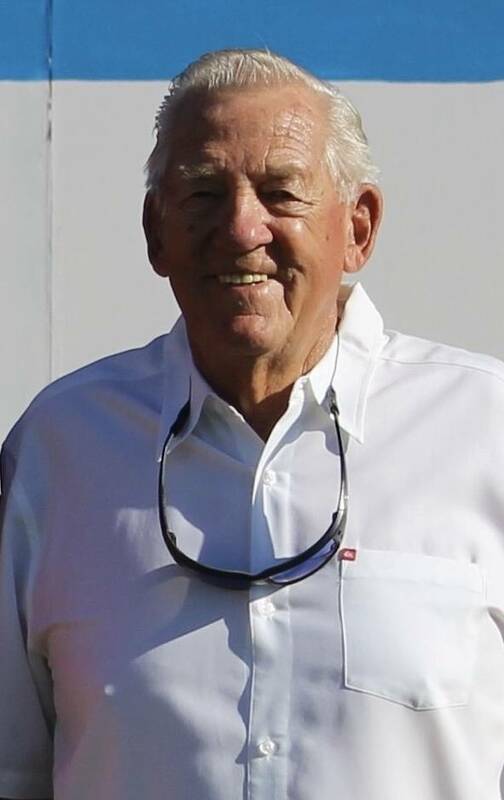 During the 1970s, Guerra was the conduit between the big leagues and a remarkable group of players he coached at Rancho and during the summer in American Legion ball. Nine were drafted. Four made it to the big leagues. Marty Barrett, Tommy Barrett, Mike Maddux and Mike Morgan would have their pictures taken for baseball cards. Mark Bloomfield, John Huntington, Perry Swanson, Jeffrey Wolfe and Mike Guerra also were selected by major league teams. Many returned to play in an alumni game when Rancho christened its new ballpark several years ago. Manny Guerra watched from the bleachers, sans notebook, pencil and speed gun. “When those guys were little, they used to come over on Christmas Day and want to play baseball,” Manny Guerra said. Mike Guerra said a lot of people might not know his dad was a retired Air Force Staff Sergeant who worked 34 years as a civil service aircraft mechanic. Manny Guerra retired in 1985 as the only civilian to command the 57th Equipment Maintenance Squadron out of Nellis Air Force Base, his son said. But his passion always was the ballpark, diamond, sandlot or, if one wasn’t available, a cow pasture. Mike Guerra tells a story about how his dad traveled to Montana to peruse a pitching prospect. When it rained and the baseball diamond became unplayable, his dad and fellow scout Carl Cassell took the young man to a nearby cow pasture to see if he could throw the high, hard one. Mike Guerra said if memory serves, the kid from Montana eventually was drafted. Pahrump’s Jennifer McCaw, who recently finished her career as a soccer player at Idaho State, has been nominated for NCAA Woman of the Year. The defensive-minded midfielder played in 65 games, was Idaho State’s captain and scored the only goal of her career on Senior Night to forge a tie against Weber State. She had a 3.94 GPA and was active in the Idaho State and Pocatello communities, spearheading the school’s campaign to raise awareness in sexual assault and physical violence. Her parents are Jim and Janet McCaw, and they must be proud. While UNLV was out in the community with a monkey and a tin cup trying to raise money to put a roof on its football training complex, it also announced the FANtastic 20. You can probably tell by the capital letters the initiative is designed to improve the fan experience at football games. “Eat All You Can,” a ticket package starting at $79 that includes games against Texas-El Paso, Fresno State and UNR — and all the Nathan’s Famous hot dogs, nachos, popcorn and soda fans can eat and drink — is ranked No. 5 among the initiatives. Miki Sudo, winner of the past five Nathan’s Hot Dog eating contests for women, makes her home in Las Vegas. She’d be an excellent spokesperson for “Eat All You Can.” She also could advise Rebels football fans how to digest a stunning defeat should UNLV get the bright idea to play Howard again.